I first read this delightful little book as a grown up, not a child. Yet the fact it resonates with me as an adult is a testament to Dahl’s ability to capture the imagination and spin a tale that appeals to readers of all ages. Genre-wise, Matilda is a tough little literary nut to crack in a good way. I suppose you could call this general fiction but there is a slight paranormal element that emerges later on to keep it from being too realistic, though this element isn’t strong enough to cause the novel to become fantasy or paranormal. So perhaps realistic surrealism might work? Or could that be surrealistic realism? In any case, this novel is about Matilda Wormwood who is a born genius and bookworm. But rather than those two traits making her the apple of her parents’ eyes, she’s more like the bunion on the bottom of their soles. Not that Matilda has any part of the blame – she’s just given the rather unfortunate circumstance of being born into a family of morons who only care about ripping people off (Mr. Wormwood) or playing bingo and watching television (Mrs. Wormwood). While Matilda devises sneaky, cheeky acts of revenge against her parents’ mistreatment, she finally gets her chance to shine when she goes to school and meets Miss Honey, her teacher. Miss Honey is one of very few adults in this novel’s world who really understands Matilda. To his credit, Dahl doesn’t demonize all grown ups; instead, he presents them as caricatures of how adults can be towards children at times – ignorant and impassive. In contrast, Miss Honey, who is a delight, embraces and encourages Matilda’s unique gifts. In the end, both of these characters end up helping one another and have a happy, smile-worthy send off. Where to start when it comes to my praises for Matilda? It’s clever, engaging, darkly humorous, and sadly true albeit it’s a caricaturization of the mentality adults can harbor towards children (as seeing them as second-class citizens). 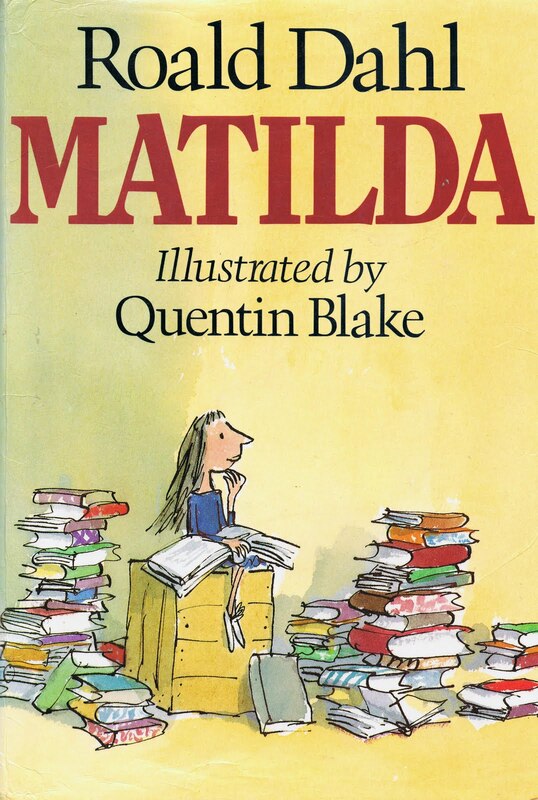 Matilda is a great protagonist as she doesn’t act like a know-it-all nor does she refuse to associate herself with anyone who isn’t as smart as she is. She’s easy to root for and sympathize with as I’m sure we’ve all been marginalized at some point in our lives. But Matilda just keep persevering. The other characters are an absolutely hoot! The Wormwoods are idiots and provide most of the book’s early comedic fodder, Miss Honey is a great partnering character for Matilda, and Miss Trunchbull is the perfect kid’s villain – big, mean, and over the top but not so scary that she’ll invade your nightmares. If I had any less-than-glowing praise to extend to this book, it would be that the novel ends a bit too neatly, too quickly, and too unrealistically (however, at the risk of revealing spoilers, I’ve chosen not to discuss it). That’s not to say I disliked the ending as I think it’s a perfect send off. But I couldn’t envision two characters making such a serious decision so quickly, not to mention the legal ramifications. But, once more, this plays to the novel’s surrealistic realism/realistic surrealism in that if Miss Trunchbull can exist in such a story world, then surely this can be plausible, too. In the end, Matilda remains one of my favorite books because its protagonist proves there is nothing wrong with having brains and loving books that help expand our view of the world and appreciate life. Matilda is a sweetheart who will go to great lengths to right wrongs and prove that being smart is nothing to be ashamed of. If you’ve never read this novel, please give it a try. Matilda is the poster child for bookworms everywhere. Thanks for the kind words! 🙂 I, too, instantly connected with Matilda even at an older age (which is when I first read it) for the same reasons – and I’m thankful my parents supported my bookwormish tendencies, too. Glad you enjoyed the review.